Lough Conn (Irish: Loch Con) is a lake in County Mayo, Ireland and covers about 14,000 acres. With its immediate neighbor to the south, Lough Cullin, it is connected to the Atlantic by the River Moy. 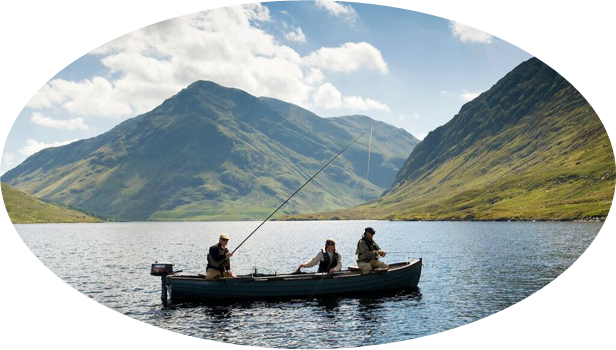 Lough Conn is noted for its trout and salmon fishing. In Gaelic mythology, various accounts are given of the origin of the name. In one account, Lough Conn was created when Fionn mac Cumhaill was hunting with his hounds; Conn and Cullin. They came across a wild boar. Finn and the hounds attempted to chase it. However, as the boar ran, water poured from its feet. The hounds ran ahead of Finn and eventually Conn was ahead of Cullin. Conn chased the boar for days until a lake appeared. The boar swam back to land but Conn was drowned. This happened again in the south to Cullin. The ruins of a priory exist at Errew Abbey. Tigernan of Errew is said to have founded the monastery in the early 6th century. It was originally called "Mainistir Taobh Thiar do Shruth", "the abbey on the west side of the stream". Up to 1,400 students from all over Europe are claimed to have studied there. Errew Abbey was dissolved in 1585.